We walked across an old drovers route from Galloway to town in Ayrshire, in the uplands of South West Scotland. We took three cows, an award winning photographer Alice Myers, a film maker Stevie Whiteford, a musician Nick Jenkins, a sound artist Pete Smith and a writer Catrina Davies with us. The Droving Project exhibition showed at Gracefield Arts Centre, Dumfries, from 29 August to 24 October 2015 as part of a major new exhibition exploring farming, land and agricultural heritage. The Droving talks, featuring Scottish and international speakers, took place on 3 October 2015 at Gracefield Arts Centre, Dumfries. The exhibition showed before that at the Doon Valley Museum from October 2014 to January 2015, accompanied by a series of community events. 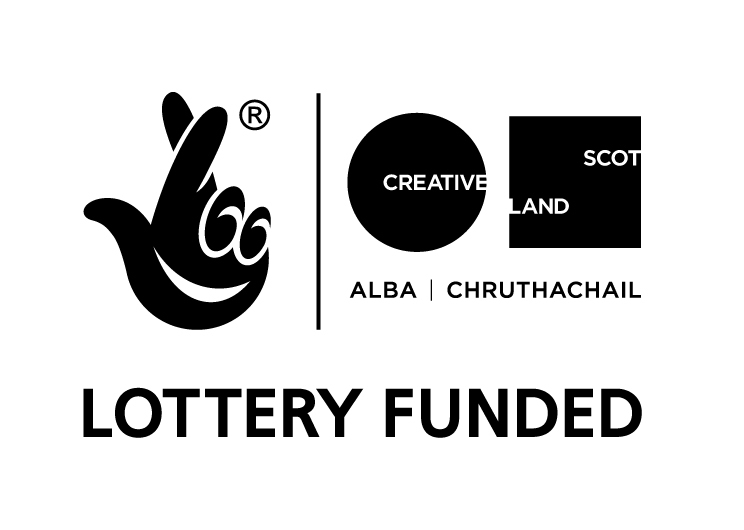 Supported by Creative Scotland, WH Mcwilliam Cattle Haulage, Knockengorroch CIC, Foundation Scotland, Cumnock and Doon Valley Minerals Trust, East Ayrshire Council and Ayrshire Spinners. I’d love to see this exhibition but its a bit of a journey from Kent! Will you be showing showing it at the Knockengorroch festival next May? It would be great if you plan to do that. Hi Pauline. We will hopefully be showing the film at the World Ceilidh next May. The full exhibition will tour the region, central belt and possibly come south at some point next year. Hopefully it will be showing somewhere in Dumfries and Galloway around May time so you will be able to pop in if you are coming up to Knockengorroch anyway..
We’re in the Ayrshire Post!